Tressa Marie Odegard of Hailey died as she lived, peacefully. Tressa lost her battle with progressive MS when she took her final breath on Mother's Day, May 8, 2011, in Prescott, Ariz. She would haave celebrated her 43rd birthday on May 31. 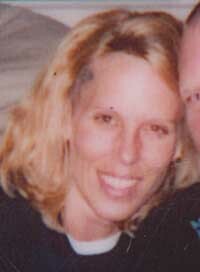 Tressa moved to Hailey in 2001 to join her soulmate Jerry Odegard. She opened her own salon, the Barber's Edge, on Main Street. She flourished in Hailey, meeting many new friends while cutting hair. Those who came in contact with Tressa often commented that she was a "wise old soul." People of all ages and walks of life were drawn to her beautiful smile, warm eyes and big heart. She had an amazing gift of listening, never judging the person or situation they were in. One of her favorite sayings was, "It is what it is," and because of her positive attitude and zest for life she lived longer than anyone expected. No services will be held. A private family memorial will be held in Arizona at a later date.